I love Soya Sauce Chicken. There’s just something about the salty and sweet skin and the tender smooth chicken underneath it. In Singapore, it’s hard to find good Soya Sauce Chicken. But I found it. Well, actually, my mother found it. 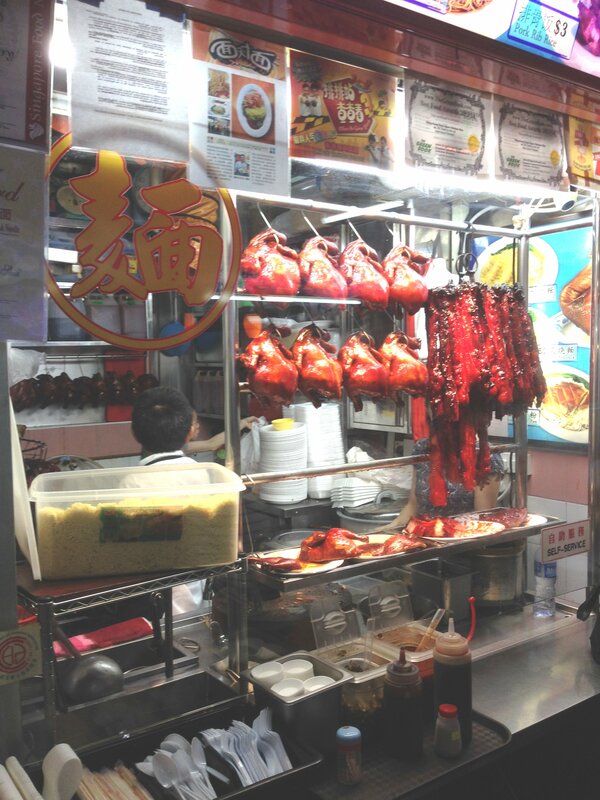 Located at the Smith Street Food Centre, the queue here is unbelievably long, but the wait is worth it. More on the queue later. The Chicken here looks great, and smells great. The Char Siew is also pretty good too, the right amount of fat. For S$14, you get a whole chicken and the chop master will chop it all up for you. 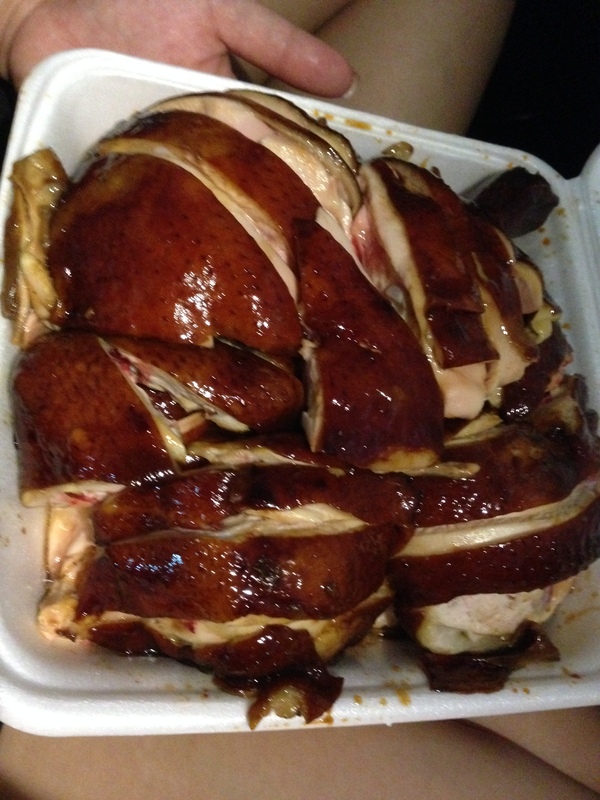 Take a look at it, the skin is a nice deep soya sauce color while the chicken is tender inside. Take a bite and you will just die. The tenderness of the chicken is right there, the skin is nice and tasty, you can devour it right then and there. Now I mentioned the queue, and how it is very, very long. Well, that queue is really for one thing, the services of the uncle and his cleaver. If you want your chicken cut, you must queue. If you want rice or noodles, you must queue. Anything that needs chopping, you must queue. 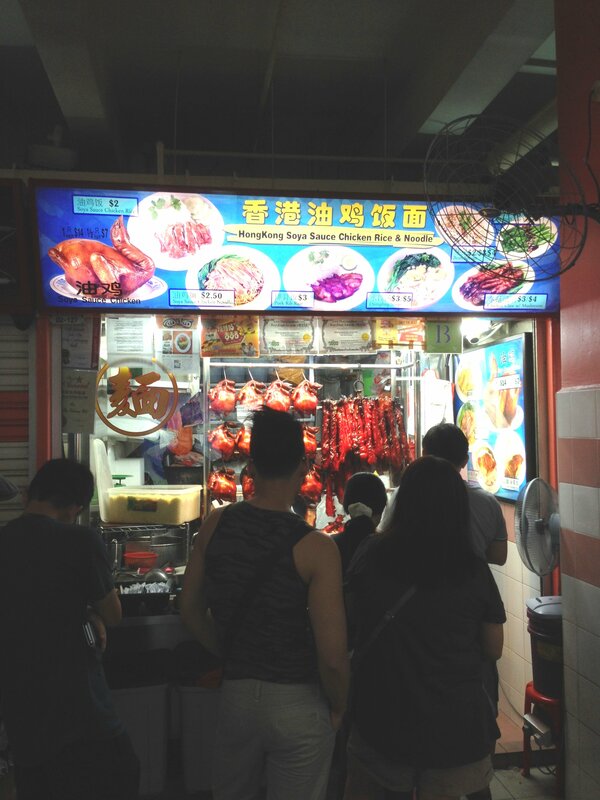 But, if you want a whole chicken or piece of char siew without it being chopped, you can go to the front of the queue and ask for it. No chopping allowed, but you can jump the queue if you want to cut it yourself. Chopping the chicken yourself is actually favorable, because the juices stay in the chicken until it is cut. After it is cut, the juices will run out. So perhaps if you fancy chopping it yourself you can jump the queue and see what happens. Posted in Michelin Stars, Soya Sauce ChickenTagged Chinatown, Michelin Star, Soya Sauce ChickenBookmark the permalink.